Kids are our future. In our community of Atchison, we Believe in Opportunities for Our Kids. 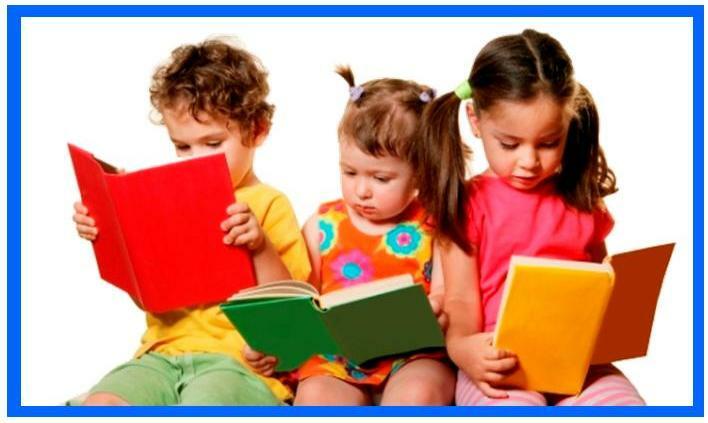 One opportunity we think is important is being ready to read when our kids start school. On this website, you will discover opportunities for kids, parents, childcare providers, other community professionals and our community. Grab a book from the library - but also check out our BOOK resources. Reading is a skill that lasts a lifetime. Atchison BOOK efforts received seed money from the Kansas Department of Children and Families Children's Cabinet and Trust Fund grant. While these funds are no longer available, the need continues in our community. 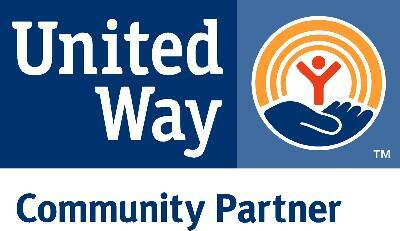 In 2017, Atchison United Way provided funds to bring the national United Way Born Learning program to our community. Atchison County Dream Team has also pledged their support via the children's need committee. A few projects include Born Learning mobile trail, Books for Newborns, the 12 weeks Dare To Be You for Preschool Families series program, plus several resources for community members. Be sure to ask us about the Brain Game workshop experience that helps explain the importance of the early years for lifetime health and well-being. This hands-on experience allows participants to build brains to better understand the importance of early childhood development. Poverty influences the development of preschoolers. A Poverty Simulation experience guided by NEK-CAP, Inc. staff aids community members to understand the effects of poverty on both children, adults and our community. Contact a staff member at NEK- CAP, Inc. or K-State Research and Extension-Atchison County to discuss hosting a simulation for your organization. Did you know that Atchison County currently ranks 97th out of 105 counties in the state for family and child well-being? 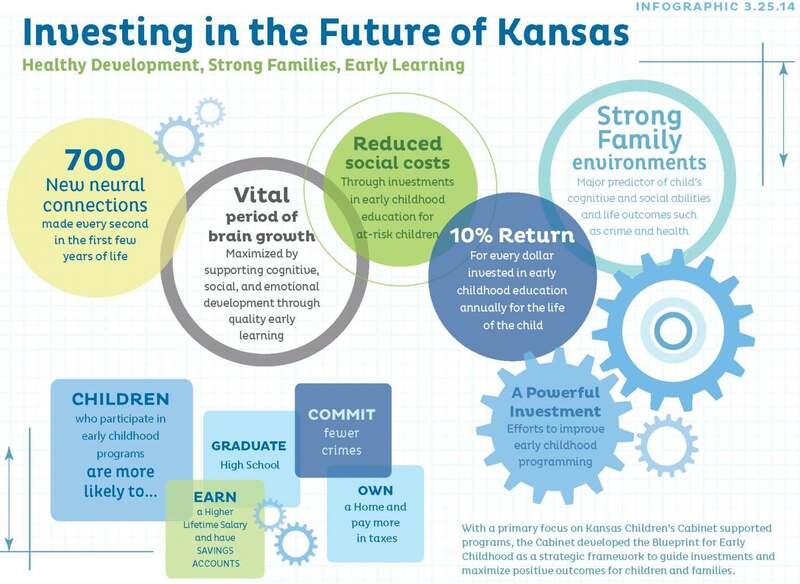 The Kansas Children's Cabinet developed a Blueprint for Early Childhood as a strategic framework to guide investments and maximize positive outcomes for children and families. Enhance parents’ skills as early teachers for their children. Increase awareness of family resources in the Atchison community. 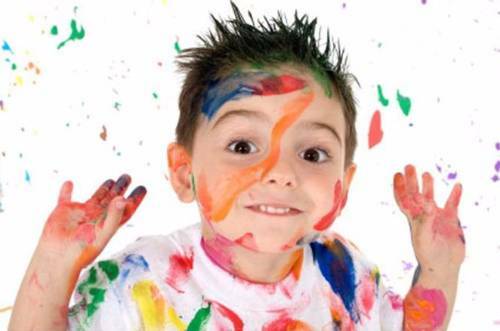 Improve school readiness for children aged 0 - 5. 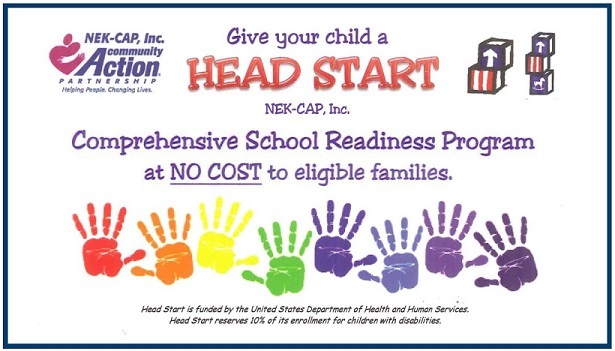 Increase preschool/childcare availability for teen mothers and at-risk youth. Grow strong families through parenting classes, support groups and electronic media. Encourage teen parents to remain in school while gaining parenting and childcare skills training.